Here are some E-mails from Sven Jönsson in Sweden giving information on the Kitmaster Range that was available in Sweden. Kitmaster kits are quite rare in Sweden probably because the scale 00. Marklin and Fleicschmann won the race during the fifties so the common scale here is H0. But as I always have had an interest for Britain and British plastic models I have collected some Kitmaster kits and catalogues. Another big interest is aircraft modelling (Airfix, Frog) but I find everything about transportation quite thrilling. Now I have found a 1959 trade catalogue and 1960 catalogue with Swedish text so I can put them in the scanner and send them to you if its ok. By the way, the 1961 Dutch catalogue on your home-page is in fact with Swedish text and not Dutch. My collection consists today of a dozen models, built and un-built. I have also found a Humbrol livery lining colour kit. 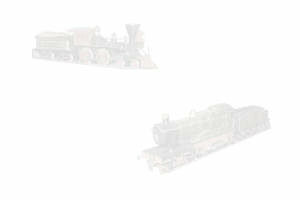 Un-built I have found the Deltic, Pullman power car, French Mountain, Biggin Hill and Evening Star. And some other locos and wagons. I bought some Kitmaster wagons here in Sweden during the sixties and I think the brand was heavily promoted and was found in several hobby-shops at the time. "I must send you this wonderful picture, taken in the late fifties. It is from the hardware and toy-dealer PILOS in Landskrona not far from here. I live near Helsingborg and was born 1954 so I could almost have been on the photo myself. The dealer is demonstrating all the benefits with Kitmaster and holding a box in his hand. On the desk in front of him there are several boxes, and on the wall in the centre of the picture, a Humbrol livery lining kit is hanging." In this mail I enclose six scans from 1959 catalogue. This one was found in a French mountain kit. Here is the second catalogue , from 1960. This one seems to have been distributed to the toy-dealers in Sweden as an enclosure with their magazine "Svensk leksaksrevy" = "Swedish toy-revue" . 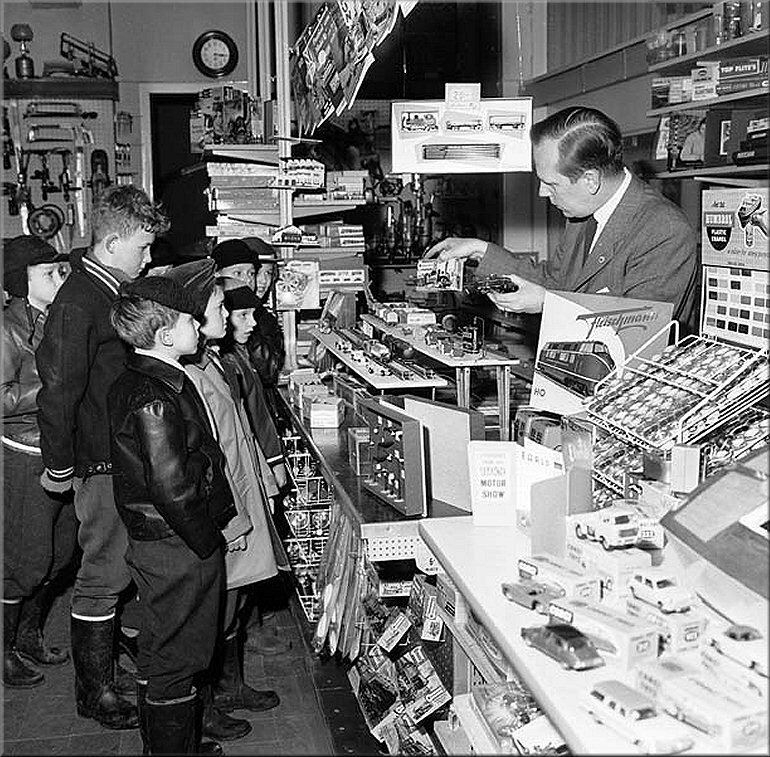 Many toy dealers in Sweden are members in this organisation which was formed 60 years ago.